Blizzard Entertainment, the Irvine, CA based developer of the incredibly popular Warcraft, Starcraft, and Diablo games, will be holding its 8th BlizzCon at the Anaheim Convention Center. 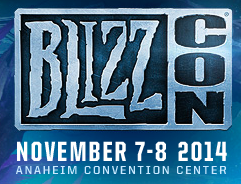 BlizzCon will be two days of non-stop gaming competitions, casual play, discussion panels and out-of-this-world fun. The festivities get underway on Friday, November 7, 2014, and run through the end of the day on Saturday, November 8, 2014. On both days, the doors will open at 10:00 AM and activities will run through 10:00 PM. Whether you decide to come for one day or both days, you will get a chance to meet with the top pro gamers from all around the world. You don’t have to be a professional gamer to have a fantastic experience. Everyone who attends will have a chance to compete in both competitive and casual competitions. You will not only see the latest game versions that have just been released, or are in beta testing mode, but you will also have plenty of opportunity for hands-on play. BlizzCon is Blizzard Entertainment’s chance to bring together its gaming communities from around the globe. Through their online gaming service, Battle.net, millions of active players compete and interact with other players that may be thousands of miles apart. Die-hard fans from distant lands will certainly be among the crowd at the Anaheim Convention Center. Terrans, Nephalem, Alliance, and Horde will all converge from their Warcraft, StarCraft, and Diablo universes in one central gathering place. While gamers and players may be loyal to their particular gaming universe, they are also welcome to explore the other universes. If you are a WarCraft loyalist, you can try your hand at playing Diablo or accept the challenge to compete in a StarCraft competition. No matter what community you belong to, you can compete for great prizes in contests designed for your community. Everyone from the multiverse can get some souvenirs and pick-up commemorative merchandise unique to BlizzCon 2014. A BlizzCon Benefit Dinner, which includes admission to BlizzCon will take place on the evening of November 6, 2014. This exclusive event raises funds for the Children’s Hospital of Orange County. During this time of the year, hotels fill up quickly and rooms can be expensive. 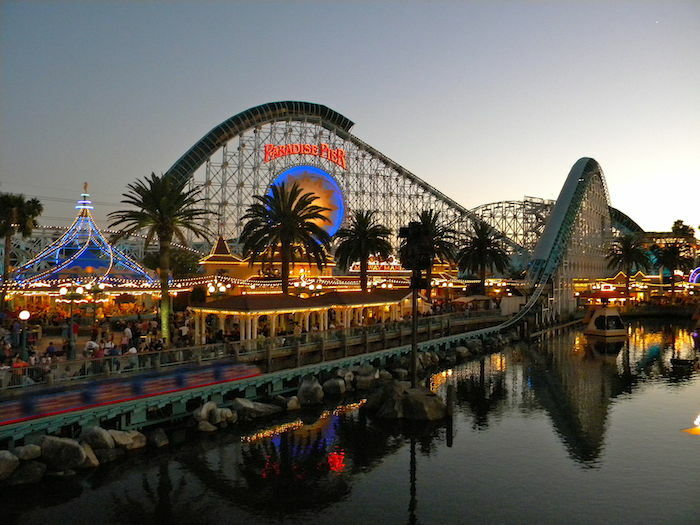 The Anaheim Express Inn Maingate is just a short walk from the Convention Center. We have the most affordable rates in town. Our hotel manager is always looking for ways to save you money. Give us a call or go online to make a reservation and get a deal that is hard to beat.